Tour of the TREAT Facility during the 2015 IRP Kickoff Meeting. From left to right: Colby Jensen, Rob Corbin, Mike Steer, Bill Martin, Nic Woolstenhulme, Robert Mulford, David Carpenter, David Pointer, Tom Downar, Wade Marcum, Jim Parry, Changho Lee, and Kaichao Sun. Participants in the Computational and Experimental Benchmarking for Transient Fuel testing Biannual Meeting, hosted by the University of Michigan in Ann Arbor. Back row, from left to right: Mark DeHart, Colby Jensen, John Bess, Kaichao Sun, Changho Lee, Heather Connaway, Christopher Lewis, Tom Downar, unknown, Lin-wen Hu, David Carpenter, Emory Brown, Arantxa Cuadra Gascon, Michael Todosow, Tommy Moore, Jim Parry. Front row, from left to right: Kevan Weaver, Volkan Seker, Bill Martin, Wade Marcum, Mike Steer, David Pointer, Brian Woods, Nicholas Woolstenhulme, Dan Wachs. Collaborators at the 2016 Annual Review Meeting at MIT. 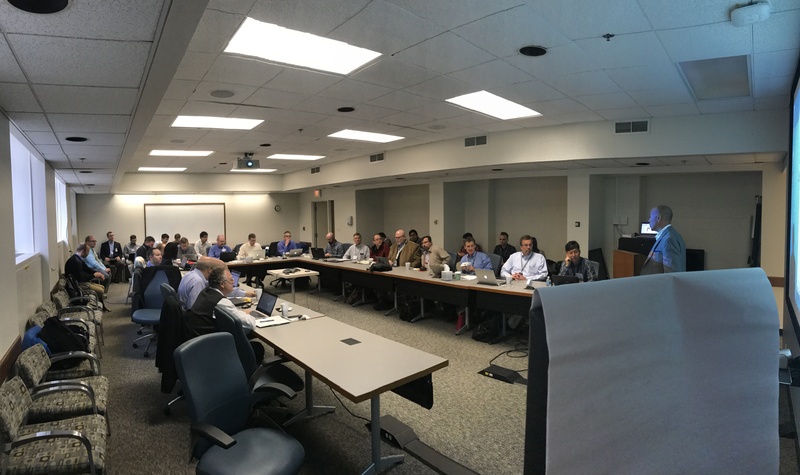 Collaborators at the 2017 Biannual Meeting at Argonne National Laboratory in Chicago. Collaborators at the 2017 Biannual Meeting at Oregon State University. An effort is presently underway to restart the Transient Reactor Test (TREAT) Facility, located at the Idaho National Laboratory by 2018. The TREAT Facility, shown below, has historically been utilized to provide empirical data to support the comprehensive characterization of light water reactor fuel and sodium-cooled fast reactor fuel under a variety of conditions. 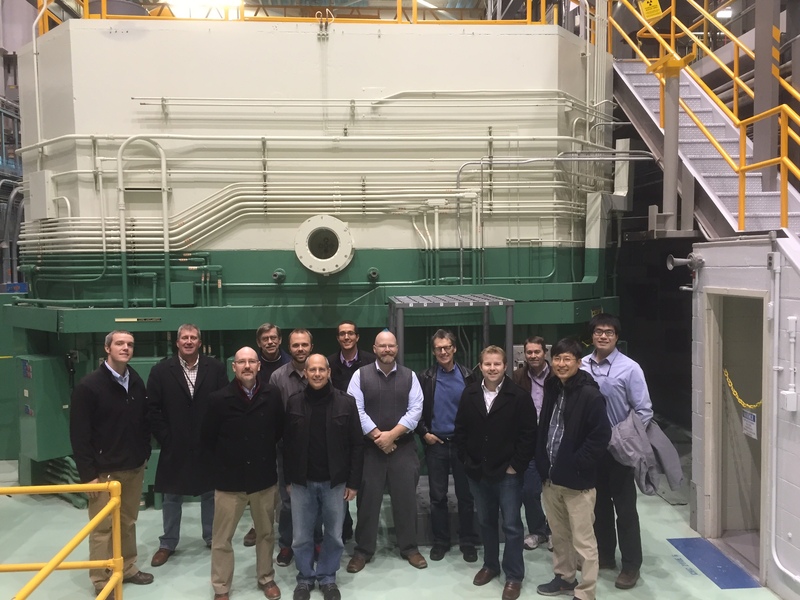 This test reactor provides the capability of significantly expanding upon the existing empirical data available for traditional light water reactor fuel, supporting the accident tolerant fuel program in the U.S., and efforts to license next generation sodium-cooled reactors. 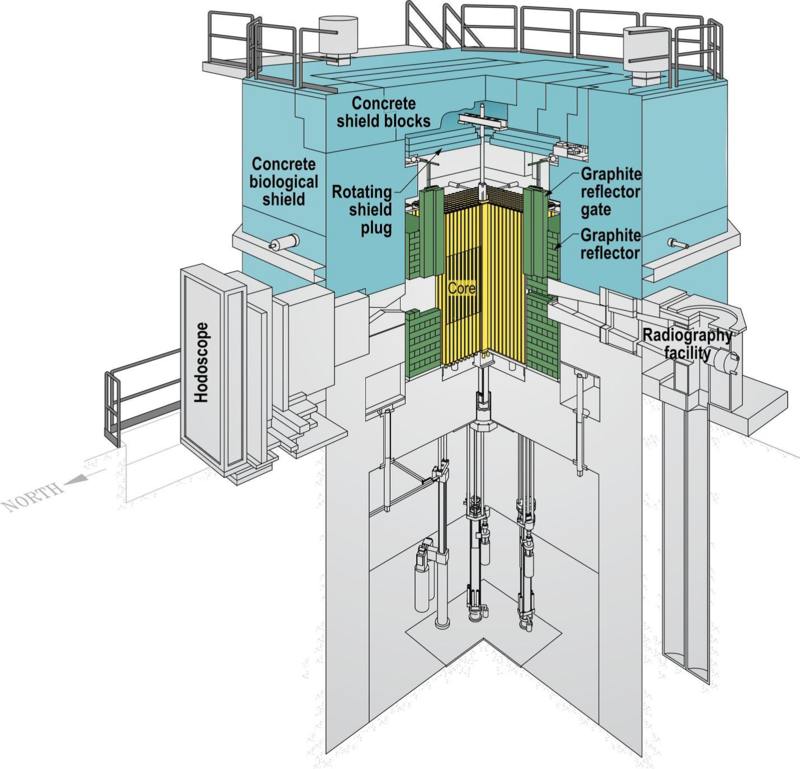 The restart of this unique test reactor has pushed the capabilities of historically developed codes, used to provide the safety case for experimental conduct and design. However, significant progress in the development and implementation of mechanistic-based models has been underway in recent years through large integrated programs such as the Department of Energy’s Nuclear Energy Advanced Modeling and Simulations program. In addition to these ‘next-generation’ computer codes, instrumentation capabilities and experimental hardware design has significantly improved since the shutdown of the TREAT Facility in 1994.
an integrated instrumentation plan for the TREAT Facility. Our integrated team comprises six faculty from three universities, four scientist and engineers from three national laboratories and two industry partners. 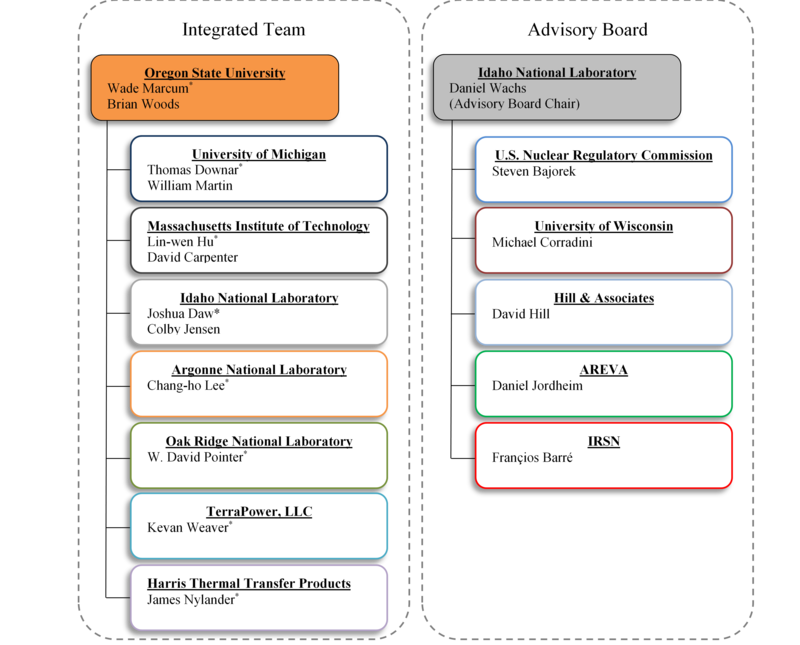 Additionally, our advisory board includes representatives from national laboratories, industry, academia and national and international regulatory bodies. A comprehensive neutronics benchmarking analysis will be conducted using PROTEUS (DoE NEAMS code), PARCS/AGREE (U.S. Nuclear Regulatory Commission [NRC] code) and Open MC (Monte Carlo code). An IRPhEP will result from this comprehensive benchmarking analysis. Two steady state condition benchmarking tests will be selected and studied. Two transient condition benchmarking problems will be selected and studied. A complete thermal hydraulic study will be conducted that focuses on the experimental loops placed within the TREAT Facility. These include a comprehensive evaluation of historical data collected from previous sodium experiments as well as expansion of existing data through design, development, and utilization of a new experimental loop that is representative of a proposed TREAT water flow loop. Data from historically collected sodium loop calibration experiments will be used in a benchmark study against Nek5000 (DoE NEAMS code) and Star CCM+ (Industry code). Empirical data resulting from the new experimental flow loop will be benchmarked against RELAP5-3D (Industry code) and TRACE (U.S. NRC code). The experimental loop will also be used to support operational shake-down issues for a TREAT Facility prototype. The result of task 1 and 2, along with the conduct of ongoing experimental efforts underway by the FY14 IRP-NE team, will provide a clear basis for the design and development of a comprehensive TREAT Facility instrumentation plan. A comprehensive instrumentation plan (location and instrument selection) will be conducted. Testing of instruments that are required for implementation within the TREAT Facility and that have not already been tested will be conducted at the Massachusetts Institute of Technology Reactor II (steady state tests) and the Oregon State TRIGA® Reactor (transient tests).